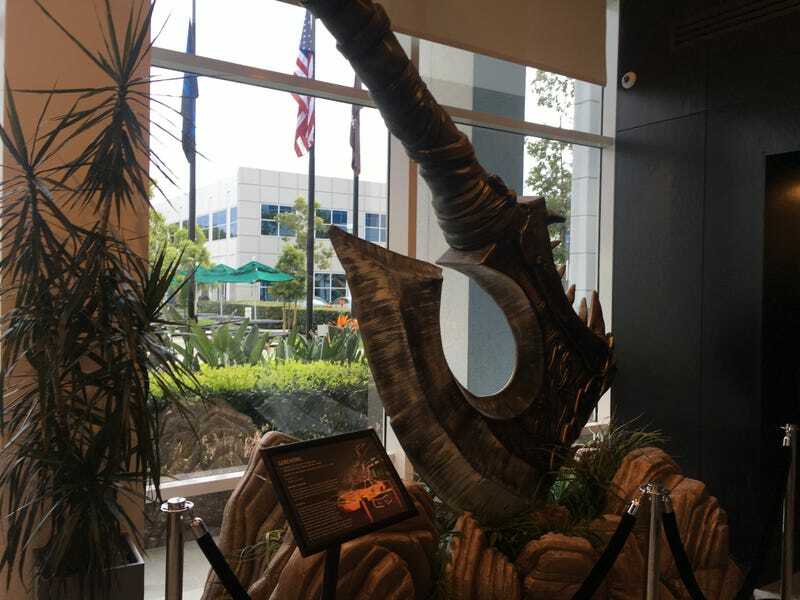 Blizzard tried to embed a giant axe in the side of their office building. Blizzard tried to embed a giant axe in the side of their office building. The developer commissioned a massive replica of Gorehowl, from World of Warcraft, for an ad display. Afterward, it considered plunging the axe into its building in Irvine, California as decoration, I learned while visiting for an event today. Unfortunately, the Irvine Company said no.